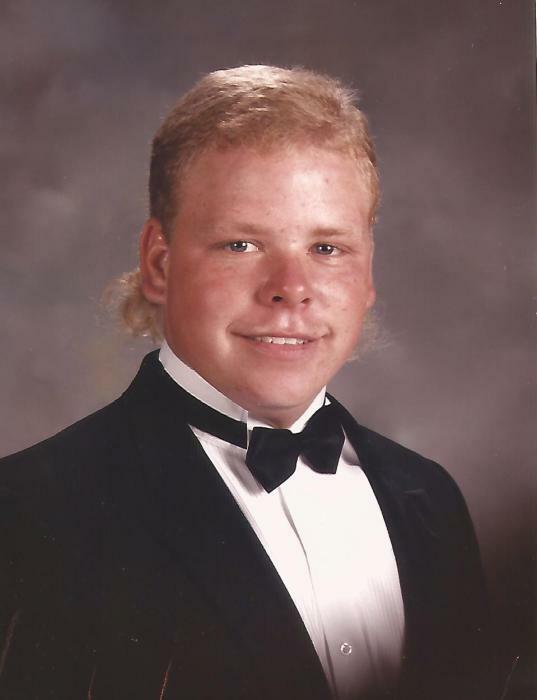 John Christopher Peake “Chris”, 44, of Winnsboro passed away February 10, 2019 at Providence Health Hospital in Columbia, SC. He was surrounded by family and many loved ones. Chris was born May 22, 1974 to Joanne McFadden and Johnny Peake. Chris had a big personality and was loved by all who knew him. He loved animals, and kids were immediately drawn to him. He treasured his family, and there was no place he’d rather be than with the love of his life, Amanda “Mandie” Raley. Chris is survived by his parents, Johnny Peake (Patsy Palmer) and Joanne McFadden; his wife of twenty years, Mandie Raley; his children, Alyssa Rebekah “Bekah” Peake, Caitlyn Anne Peake (Rick), John Christopher “John John” Peake, Jr., Elizabeth Anne Bleckler, and Jacob “Duke” McManus; his sister, Martha Peake Sweet (Jeff); his grandchildren, Skyler, Bella, and Adalynn; his special niece, Addison Collins; special nephews, Stanley “Monk” McManus, Nathan “Little Eric” Collins; Elijah Collins, and many aunts, uncles, and cousins. A memorial service celebrating his life will be held at 3 o’clock PM Tuesday, February 12, 2019 at Cornerstone Church of God.